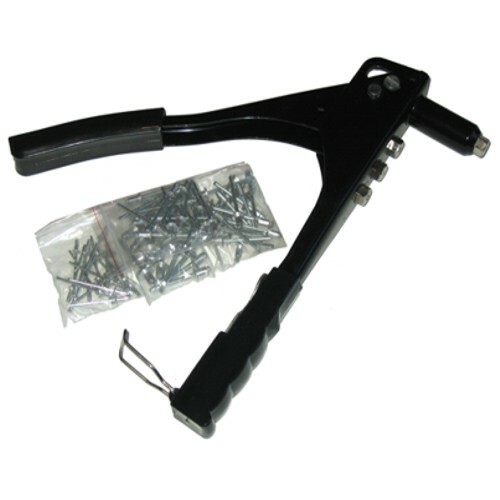 Good quality hand rivet gun from Toolzone Tools. Hand blind pop riveter rivet gun. 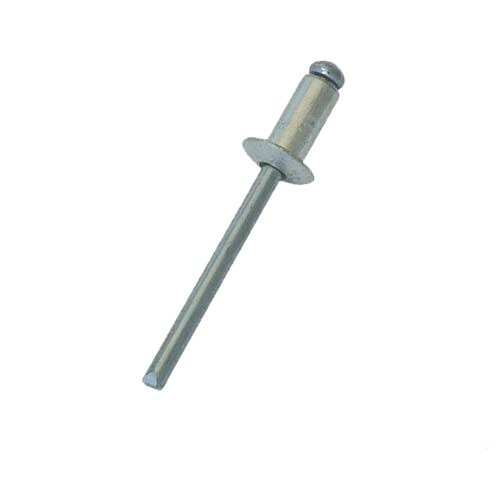 The rivet gun includes 75 rivets: 20pc 2.4mm x 6mm, 20pc 3.2mm x 6mm, 20pc 4.00mm x 6mm and 15pc 4.8mm x 8mm rivets. Also included are 4 different sized heads and changing spanner. This is a complete set at an amazing price. Customers please note that the handle may be RED depending on stock received.